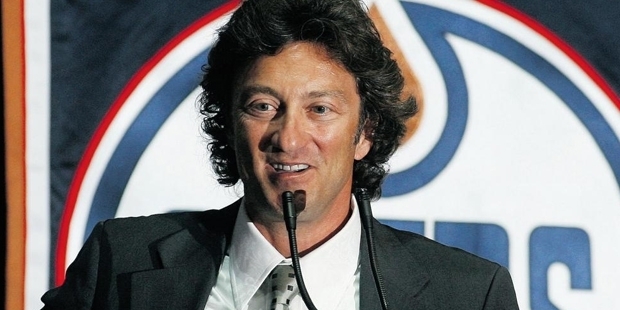 Daryl Katz is the owner of Edmonton Oilers, who had amassed billions through his global pharmacy business. He founded Katz Group in 1990, which employs around 8600 people in its 1800 stores across Canada. He purchased NHL’s Oilers in the year 2008, and is currently revamping the downtown area of Edmonton through the construction of Edmonton Arena District. This district is going to include a 62 stories office tower, condos, hotels, theatre complex and an up to date arena for its team. He started his career by taking over distressed pharmacies, and today, his brand oversees around 450 Rexall pharmacies in western and central Canada. Born in Edmonton, Daryl’s father used to be a pharmacist himself, who founded Value Drug Mart in the 1970s. After completing his schooling, Daryl started working at a law firm, Shoctor, Starkman and Mousseau. Then, he started his own private practice, focusing on franchise and corporate law. In 1991, he paid $300,000 for Canadian rights to the Medicine Shoppe drugstore franchise, which had more than 1000 stores all across United States. In 1992, Daryl along with his father opened the first Medicine Shoppe store. Daryl eventually founded Katz Group. In 1996, he purchased the perishing Rexall chain of drugstores, which had only a dozen of presence in Canada. The business started growing, and by 1998, there were around 30 outlets of Medicine Shoppe, 80 Rexall stores, and some more independent retailers. In 1997, he purchased the drug store chain of Pharma Plus from the Oshawa Group, which had 143 stores and priced at $100 million. In 1999, Katz entered US market with the purchase of Snyders chain of drug stores, worth $300 million in Minnesota. In 2001, he bought the big box discount chain of Drug Emporium. The chain of Snyders failed in the US, and filed for bankruptcy in the year 2003. Its 25 stores were bought by Walgreens. In 2004, Daryl purchased 10 years of naming rights to the $45 million Rexall centre, an entertainment and tennis complex in York University campus, featuring 12,500 seats. In 2012, he sold Medicine Shoppe and Drug Trading Co. to McKesson Corporation for $1.2 billion, a US based drug distributor. However, Katz retained his Rexall branded outlets. In addition to his business activities, Daryl Katz is involved in a number of philanthropic activities. In 2006, he announced a donation of $7 billion to the Faculty of Law, and the Faculty of Pharmacy & Pharmaceutical Science in the University of Alberta. In 2009, he donated $20 million to Toronto based Mount Sinai Hospital, and also founded the Daryl A Katz Center for Urgent & Critical Care. He has also donated millions to the Edmonton based Stollery Children’s Hospital, in addition to giving support to numerous public events.